Every last Sunday of the month, from May to October 2017, different activities are taking place at the Milan Monumental Cemetery. Short films realized by the students of the "Civica Scuola di Cinema Luchino Visconti" will be projected in the conference room. 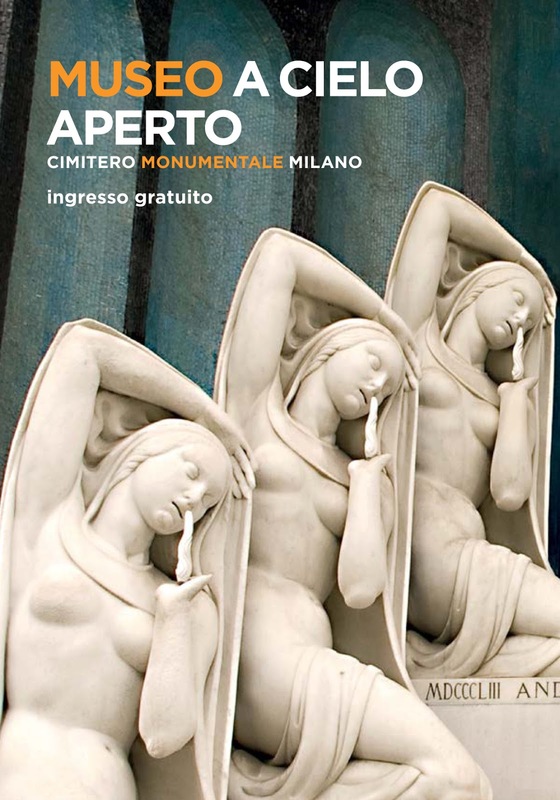 Starting from the outside yard, guided tours will be taking place, guided by the volunteers of Servizio Civile and the employees of the Monumental Cemetery. A short theatrical play by Luca Rodella entitled Dario, satanassi, sberleffi e longa vita will be taking place in the upper east gallery. With Luca D'Addino. Music by Roberto Dibitonto. A concert entitled Sound&More will be taking place in the upper west gallery. With Trio ST 2-10: Ivan Maddio, Andrea Serino, Stefano Di Niglio.